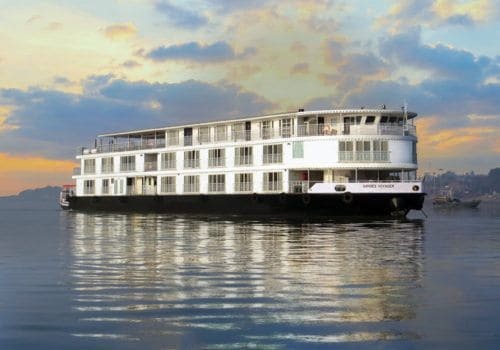 Set out on a seven-day all-gay cruise along the lower Ganges River with powerful visits to Bandel, Kalna, Murshidabad, Chandernagore, and the stunning new temple complex at Mayapur. 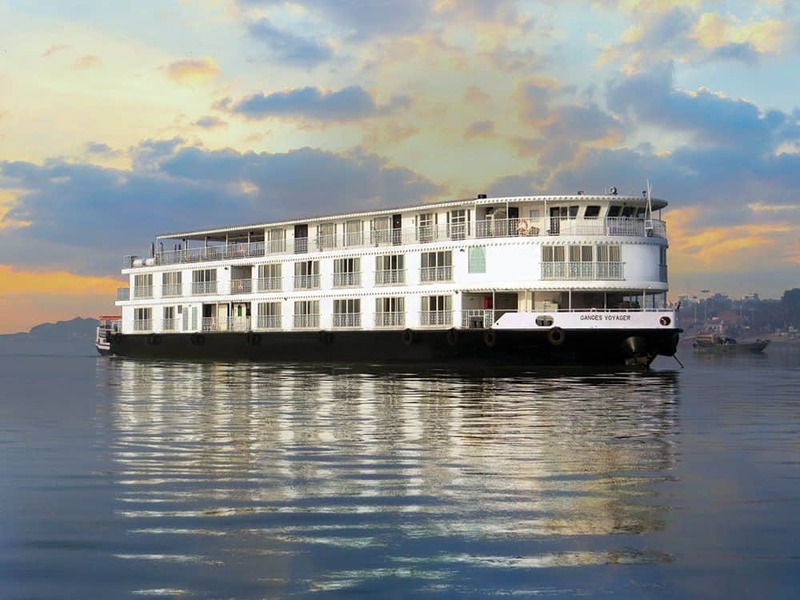 You’ll be travelling onboard the all-suite Ganges Voyager, an exclusive charter. This is a luxury trip and you can expect the highest standard of service. Expect gourmet meals and nightly entertainment onboard. If you’d like to extend your trip we have optional add-ons to Jaipur and New Delhi. 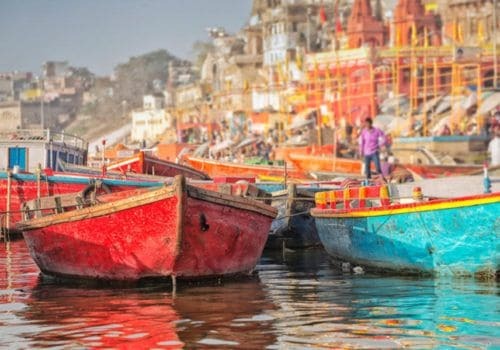 You’ll be venturing to Rajasthan and India’s Golden Triangle, with astounding visits to the fabled “Pink City”, the 11th century Agra Fort, and the legendary Taj Mahal. First you will arrive at the Delhi airport where you will be transferred to your hotel for two nights, at the deluxe Imperial New Delhi. After the welcome briefing, the comprehensive tour introduces you to the bustling city’s landmarks, passing the imposing Red Fort, President’s Palace and City Gate, and discovering the narrow lanes of Old Delhi via a rickshaw ride. 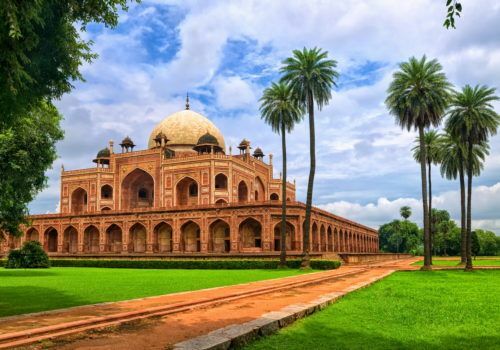 Visit Raj Ghat, the memorial to Mahatma Gandhi, Humayun’s Tomb, a 16th-century landmark of Mughal architecture inscribed on the UNESCO World Heritage list, and Qutab Minar, also a UNESCO site. This evening, join your fellow travellers for dinner at the hotel. Enjoy breakfast at the hotel before transferring to the airport for your flight to Kolkata. Transfer from the airport to the ship. 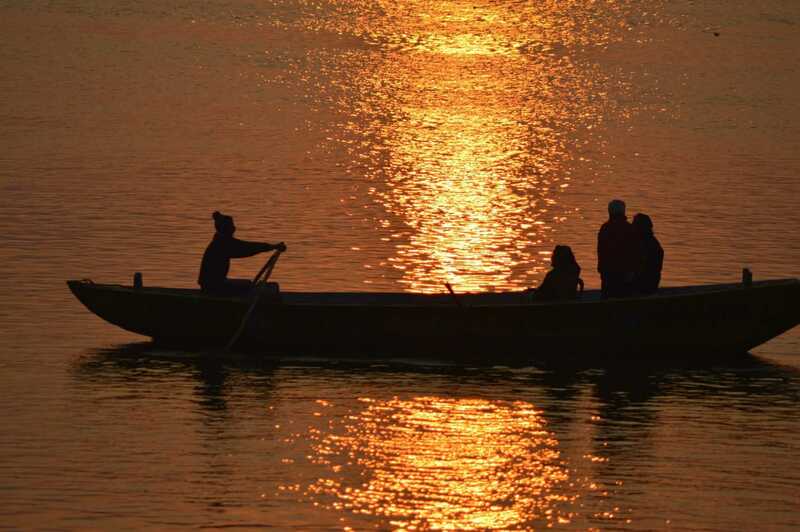 After settling into your suite aboard the Ganges Voyager, we’ll gather for a welcome reception and dinner, followed by a musical performance featuring songs of the Bengal region. Today begins with a ride through the city center of Kalna en route to the enchanting Rajbari complex, where we’ll find the highest concentration of temples in the region. The complex contains a unique mixture of West Bengal architecture. Built in 1849, this marvellous structure features terra cotta tablets depicting scenes from Hindu epics, the mythical life of Sree Chaitanya, images of Durga, and various aspects of day-to-day life in the region. After a day of exploration, we’ll return to the ship for relaxation, restoration, and an evening of fine dining. Early this morning, you’ll have the opportunity to stroll through the streets of the brass working village of Matiari. Here, skilled craftsmen have earned a reputation for transforming recycled copper into beautiful brass platters, bowls, and figurines using traditional methods passed down through the generations. After our visit, we’ll return to the ship for breakfast and continue upstream to Khushbagh. En route, we’ll sail past Plassey where, in 1757, Robert Clive of the British East India Company defeated the Mughal Nawabs and their French allies, establishing the company rule in India that expanded over much of South Asia for the next 190 years. Today we’ll visit the village of Khushbagh. Here we’ll visit the mosque complex built by Nawab Ali-Wardi-­Khan. After breakfast, we’ll sail to Baranagar and see more of rural India. We’ll see several 18th-century temples – they are considered to be high points of Bengal terra cotta art. After lunch, we’ll sail to Hazarduari Palace built by British architect McLeod Duncan in the 19th-century. It’s packed with colonial antiques and thousands of real and false doors. We’ll then ride by buggy to the Katra mosque. It was built by the Nawab of Murshidabad, Murshid Quli Khan. We’ll have dinner onboard accompanied and watch some local entertainers perform. After a relaxing morning, we’ll visit Mayapur, the birthplace of Sri Chaitanya Mahaprabhu (1486) who was considered to be an incarnation of Krishna. It’s also the home of the Krishna Consciousness Movement. We’ll be able to meet some of the Krishna followers and visit the temples. The new temple is 700,000 square foot and it even has its own planetarium. It’s so vast it can be compared to the Vatican. Today we’ll visit the former French outpost of Chandernagore. They sought to rival their perennial enemies – the British – and establish economic dominance in India; it didn’t quite work. There are many striking French buildings to explore. We’ll then sail downstream to Kolkata. 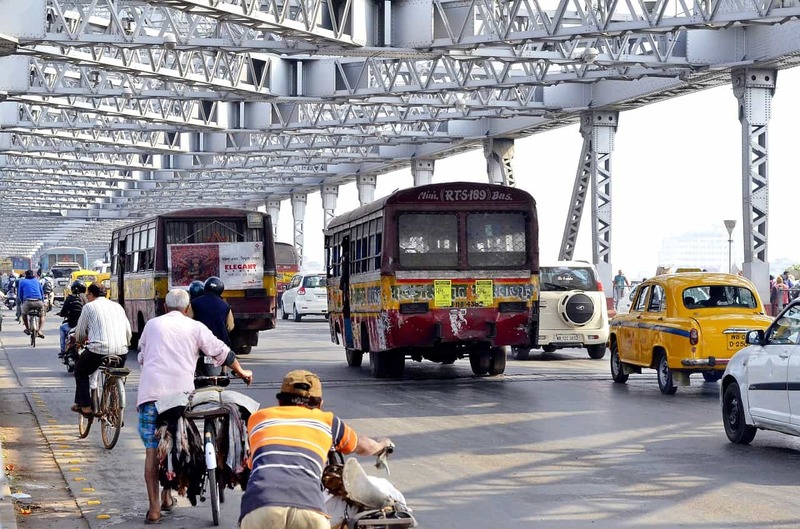 In the morning, arrive in Kolkata. Following breakfast, visit the home and final resting place of Nobel Peace Prize recipient, Mother Teresa, who founded the Missionary of Charity here in 1950. During our visit, we’ll peruse the permanent exhibition of Mother Teresa’s life and work, view her sparse living quarters, and the tomb where she was laid to rest in 1997. Bid farewell to Kolkata and board your flight to the capital of Rajasthan, Jaipur (via New Delhi). Transfer to your hotel, the magnificent Rambagh Palace. Enjoy some time at leisure and dinner at the hotel. After an opulent breakfast, we’ll head to the fabled Pink City of Jaipur. There’ll be an optional elephant ride up to the Amber Fort. We’ll visit the UNESCO-heritage site of the Jantar Mantar Observatory. Jaipur is an extraordinary city to explore. Dinner on your own tonight – there are plenty of great places to eat in the local area. Today’s scenic ride takes you to the city of Agra, located on the banks of the river Yamuna in the northern state of Uttar Pradesh. Check into the sumptuous Oberoi Amarvilas for one night. This afternoon, visit the massive and impressive Agra Fort, a red sandstone stonewalled complex of palatial buildings. End the tour with an unforgettable visit to the Taj Mahal. Venture inside India’s most iconic monument and capture the mesmerising sunset. Early risers may join the captivating sunrise tour of the Taj Mahal for one last glimpse at the UNESCO site. Enjoy breakfast and some time at leisure at your beautiful hotel this morning. After lunch, the scenic ride takes you to New Delhi for the rest of the day at leisure. Overnight at the deluxe Radisson Blu Plaza, or use the hotel room to refresh and relax before your transfer to the airport if you have a late evening international flight. Alternatively if your flight is the next day you can enjoy one last night to round off your amazing gay group trip to India – and spot another cow by the roadside!